Well, I think writing is pretty darn dreamy. But if I were to do something else I’d be in a rock band. I just didn’t expect that answer from someone of your cultural background. If I had a choice of rock bands I’d be with AC/DC playing a tambourine alongside Angus Young. Does that sound more like what you expected? Well, no… But it does sound like something I’d like to see. If that were ever to happen what would be your parents’ reaction? Back in the USSR they toured with a Gypsy band led by my grandparents. It was a strictly traditional Russian and Romani folk music program. But in spare time, they played Led Zeppelin and Pink Floyd in underground clubs when rock ‘n roll was still prohibited. I think my parents wouldn’t mind at all. How many pages was your original finished manuscript? Close to seven hundred. Initially I wrote down every memory I could squeeze out. The advantage of living with an eccentric stage family is that most days were like Liberace meets The Addams Family. Who wouldn’t want to hear about those kinds of experiences, right? Then I asked my parents to tell me all they knew about my grand and great—grandparents who had passed before I wrote American Gypsy. In the end I had this gigantic record of my family’s history chock-full of stage stories, intrigue, secrets, even witchcraft. It fascinated me, like I was meeting these people for the first time. The book evolved from something fun to something fun and significant. What is the one event you’ve left out that you wish you’d kept? A scene where my father and his rock band are auditioning in front of an armed gang for a chance to play the resort towns on the Black Sea. The gang went by the name Rollers, because every member was an expert pool player and made much of the booty from the underground billiard tournaments with other player gangs from all over USSR. The leader of the Rollers was a hunchback- thin, short-limbed, and covered with tattoos of women with whom he’d fathered children. Gambling was illegal, but the strangest thing about this gang wasn’t their choice of illegal activity but the fact that all of its members were of Greek ethnicity. The area around the Black Sea was settled centuries back by the Greeks, and their culture still dominated some parts of the coast. No one could play the clubs in that area without getting the Rollers’ permission. Lucky for dad he knew a few Greek songs and the leader was happy to take the band under his ‘protection.’ I think it’s fascinating that most of the country that was supposed to be under strict Communist law was actually ruled by these kinds of gangs. Did you have a working title? Yes. The original title was Stay Where There Are Songs, which is a Romani saying. Since my memoir is largely about reconnecting with our roots I thought it was fitting. But I also worried the reader wouldn’t get the feel of the book, that they’d have to read it before making the connection between that title and the book’s theme. 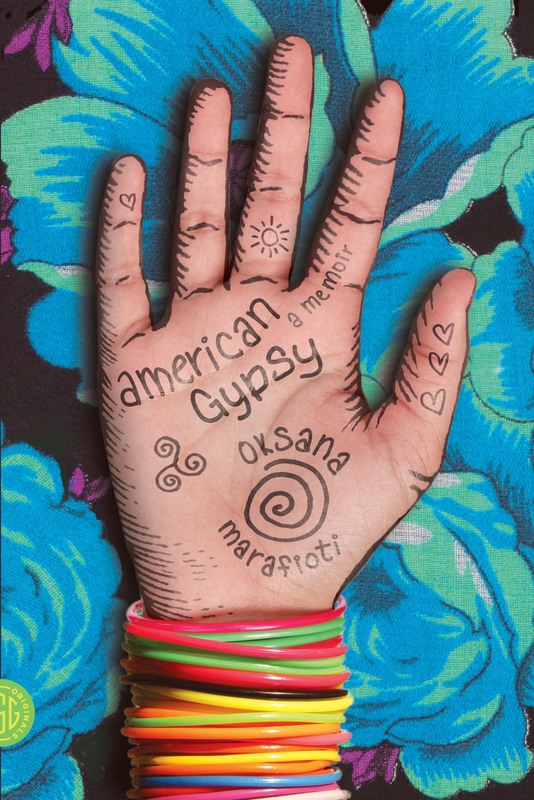 It was important for me that the readers know right away what they were getting into, and in that respect American Gypsy was a better fit. Is it true that you originally learned how to speak English by reading romance novels? It is. When I moved to LA my English was limited to ‘Hello. My name is Oksana. I’m fifteen years old.’ I desperately wanted to learn as much and as fast as I could, so a teacher suggested romance novels. I used a dictionary at first, but by the end of that first year I was flying through them. Of course there were side-effects. Since I read historicals my vocabulary was a bit dated: for a while an umbrella was a parasol, gallant was polite, waistcoat—jacket, bonnet—hat, and so on. I remember using ‘fancy that’ until a classmate asked if I were in theater. Pretty embarrassing, I say. Now that you’ve lived in the US for so long how do you feel about sliced processed cheese? It’s not as glamorous as I’d found it to be all those years ago, and so I’ve long since abandoned my glorification of processed cheese. Now I value the same fresh delicious wheels I complain about as a teen in my book. I miss the thickly cut wedges, delicious and full of flavor. Maybe I’m getting older. All I know is most everything I thought I wanted to forget as an immigrant, I now treasure. It used to be I’d think back on the time I spent in the USSR and scoff (See? A clear Romance novel influence) at all the faults: the long lines, the poorly made clothes, the shortage of top name brands. But now I remember the cities and the people, some really wonderful big-hearted people I left behind, and my perspective just kind of shifts. It’s all about the people, regardless of where you live, and very little about the cheese. OKSANA MARAFIOTI is the author of AMERICAN GYPSY, a memoir of a Romani (Gypsy) childhood, published by Macmillan’s Farrar, Straus and Giroux, July 2012. 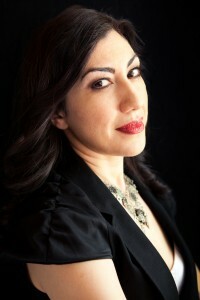 Her short stories have appeared in several anthologies including THE PERPETUAL ENGINE OF HOPE: SHORT STORIES INSPIRED BY ICONIC LAS VEGAS PHOTOGRAPHS (Stephens Press, November 2010), and FAIRY TALE REVIEW, GREY ISSUE (University of Alabama Press, January 2012) Currently, Marafioti is a BMI-Kluge Center fellow in partnership with the Library of Congress, where she is working on a novel of magic realism. Got my hands on a copy of your book and already love it. It’s always worth hearing these tales of family and identity as reminders that the U.S. is only as great as its newcomers and whatever riches the country holds, they come only as a result of those who’ve traveled from elsewhere. Or as you say, it’s about the people. Very excited to see the exposure this book is already getting too. Will expect to see you and your tambourine on the next AC/DC tour. I have my tambourine ready in case Angus calls!